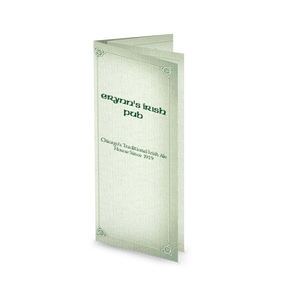 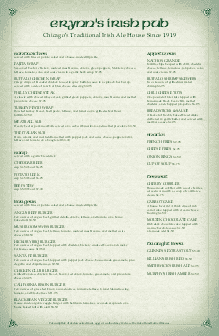 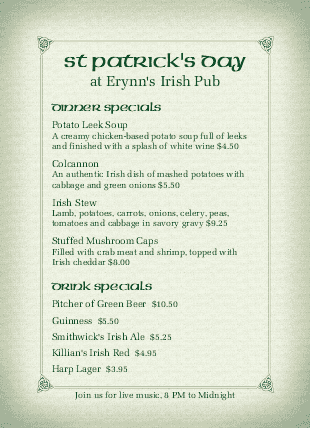 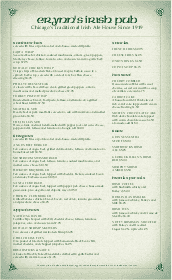 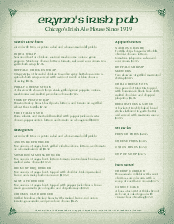 A table tent template for the Irish Pub Menu design. 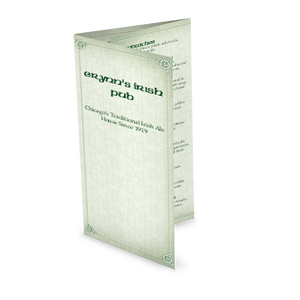 This 5x7 tabletop menu has shamrock-green ornate fonts against a soft green background, with Irish knots in the corners and a double border. 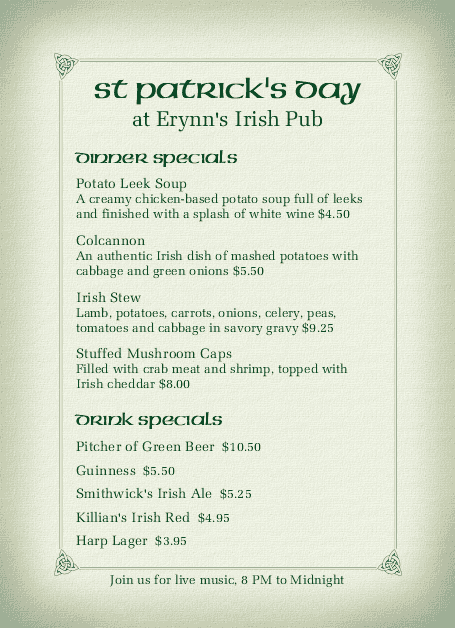 Customize the table tent with bar drinks, desserts, or dinner specials.